A Chinese man has been locked in a cage for more than 40 years by his mother. 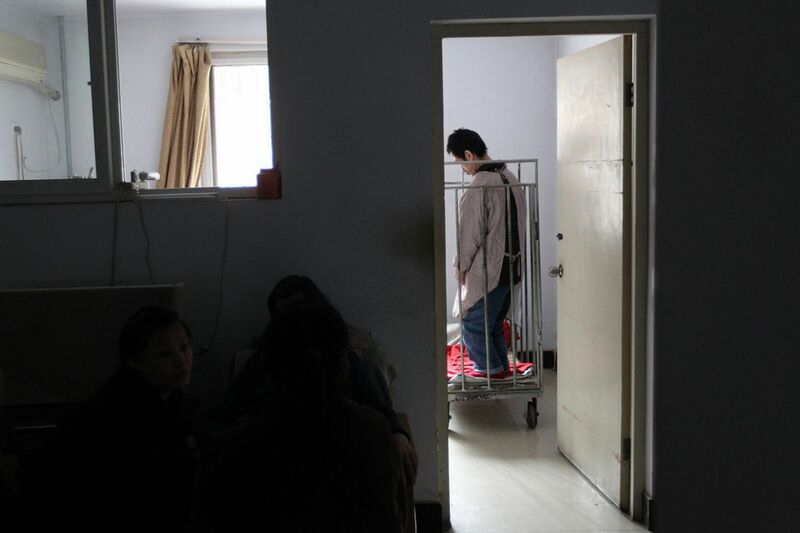 Peng Weiqing, 48, has been in the cage in his mother's home in the city of Zhengzhou, capital of central China's Henan Province, since he was six. As a baby, Weiqing suffered brain damage following a fever. He then begun suffering severe epilectic fits at the age of six. His mother, Peng Waimei, says she has kept him locked in the cage since then in order to protect him. 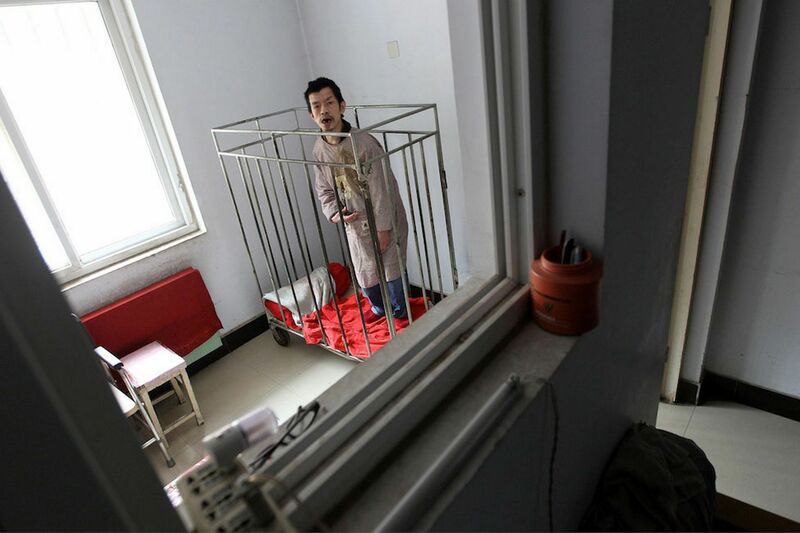 Fearing that he would hurt himself and unable to afford medical treatment, Waimei's husband built a series of cages that got bigger as Weiqing grew. Waimei said: "He can't control himself. "When he was young, quite often he would cut himself with a knife and glass debris. "Even when walking, he could suddenly fall down and hit his face and make it bleed. "He must know me, although he may not know the meaning of "mother". He is my 48-year-old child." Aged 80 and with her husband now dead, Waimei fears for her son when she dies and hopes to find someone to take care of him. Doesn't seem like they were doing it out of cruelty. He looks clean and cared for. He is 48 yrs old, so they must have done something right or he would have died much younger. That cage seems a little small to have someone live in it... there isn't enough room to lay down without having your legs stick out, or sit down without the bars jamming into your back. That's sad. It would be nice if she could find him some sort of nursing home situation. She is 80, better start making plans now for him. Poor guy, when his mom is gone, I hope he gets the care he needs. He's so small statured! If he didn't have facial hair, I would have thought he was much younger. I guess she is doing the best she knew she could do.